Join us for this years PCF Convention! Question: When was the last time you spoke to someone about Jesus? 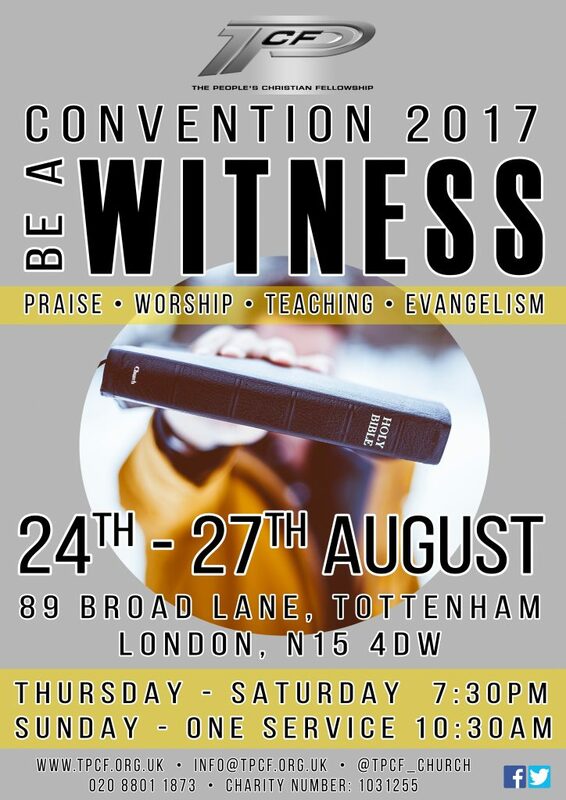 The theme for this year is ‘Be a Witness‘. Thursday 24th August – Sunday 27th August. If you want some more details regarding this year’s convention, contact the PCF Events Team or contact us via our contact form.